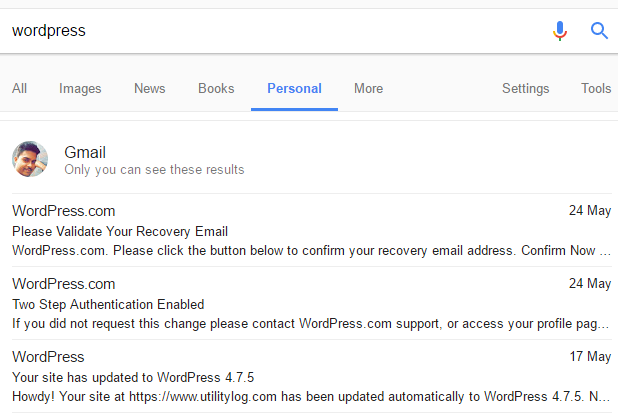 Google recently rolled out a new filter named “Personal” that allows you to search for results from Gmail, Google Photos, and other products. Whether you are searching for a particular mail, looking for a photo you took somewhere or checking your schedule, Google can now provide results right in the search itself. You need not go to individual apps to find information. This feature is slightly similar to “In Apps” present in Android’s Google app or “Spotlight” present in iOS. Except that the latter ones search for content from your apps, while “Personal” filter provides you results from Google products. Make sure you are signed in to your Google account. 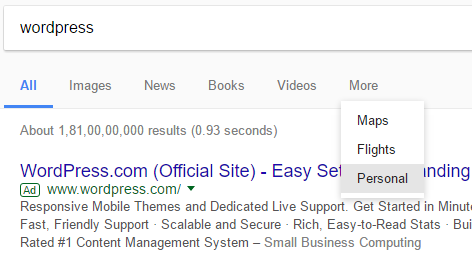 From the tabs present below the search box, click “More” and then “Personal”. That’s it! You will see results based on the query you type and then, select the result required for you. There are some searches which do not need the Personal filter. You may refer to this Google Search help article to try those searches. Earlier, you cannot search emails. But, now with the new filter, this is made possible. All the Gmail search operators also work here. Google Personal filter search results. When you select an email from the search results, it takes you to a stripped version of that email where you can only reply. You are free to load that mail in Gmail by clicking on “Load this message in Gmail” or email subject line.